A few weeks into the new year, it wouldn’t be much of a stretch to say that one of your resolutions probably is to travel more. And given that Singapore is situated next to some stunning islands and countries, travel should definitely be on the cards for you this year. That being said, not all of us are frequent flyers. For most of us, our flying is usually limited to the annual family holiday or a mid-year getaway. If you are one of these “love to travel but don’t travel that often” people, using a credit card that rewards you with air miles is probably not the best idea. Well, for one, a credit card that gives you air miles tends to reward travel purchases. And if you aren’t a frequent traveller, using such a card means that you very rarely use it for spends that earn the highest rewards. So, you are automatically earning less each time you spend. Why would you want to do that? 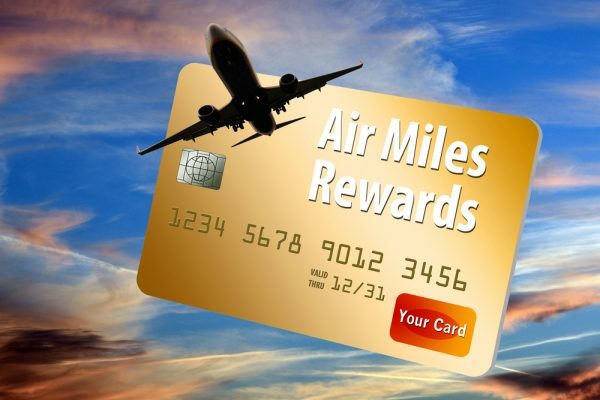 The other reason to not use an air miles card if you travel infrequently is that if the miles you accumulate expire before you get a chance to use it, you have basically spent without getting anything in return. What does one do in such situations? Well, you get yourself a rewards credit card instead. A good rewards credit card will give you points for spends on categories that form a large part of your monthly expenses. These points can then be redeemed for lifestyle, entertainment, and retail vouchers. And, if you are planning to travel, you can convert them to air miles as well. Some of these credit cards even come with benefits such as complimentary travel insurance as well as access to airport lounges across the globe. The best of both worlds, really. So, all you infrequent travellers out there, here are 5 credit cards you can use to accumulate miles (and earn other vouchers). If you love to shop until you drop and you find that most of your income goes towards buying the latest in fashion, you should get yourself the Citi Rewards Credit Card. You get 10x ThankYousm Points for every S$1 that you spend on shoes, clothing, and bags. This earn rate is applicable to overseas shopping as well, so if you plan to travel to shop, this card has got you covered! Cap on 10x ThankYousm Points: 10,000 ThankYousm Points per statement month. Points to miles conversion: 10x ThankYousm Points = 4 miles. Points can be converted to miles only in blocks of 10,000. You can convert your points to miles with 900 partner airlines. Validity of points: Points are valid for 60 months. However, once you convert your points to miles, the validity period of the miles will be governed by the terms and conditions of the frequent flyer programme you have chosen. For instance, your KrisFlyer miles have a validity of 3 years. This means that the total validity of points and miles (should you choose to convert them to KrisFlyer miles) is 8 years, since your KrisFlyer Miles are valid for 3 years from the date of conversion of points to miles. Where can you go with your ThankYousm Points? Let’s say that you earn 10,000 points each statement month. By the end of the year, you end up earning 120,000 ThankYousm Points which gives you 48,000 miles. If you converted your points to KrisFlyer miles, these 48,000 miles are enough for a one-way economy advantage ticket to Japan or South Korea! Travel privileges from Emirates, Agoda, and Hotels.com. Up to S$1 million complimentary travel insurance for you, your spouse, and dependent children. OCBC’s Titanium Rewards Card gives you 10x OCBC$ per S$1 that you spend on clothes, shoes, bags, electronics, gadgets, and at department stores. You also get 10x OCBC$ when you purchase clothes for children and babies. You can redeem your points for vouchers and when needed convert them to air miles. Cap on 10x OCBC$: 120,000 OCBC$ per year. Points to miles conversion: 1 OCBC$ = 0.4 miles. OCBC$ can be redeemed in blocks of 25,000 (25,000 OCBC$ gives you 10,000 KrisFlyer miles). Unlike the Citi Rewards Card, you can convert OCBC$ only to KrisFlyer miles. So, you need to be sure that you will be travelling by Singapore Airlines or SilkAir if you decide to redeem these miles for a ticket to a destination of your choice. Validity of points: 2 years from the date on which they are earned. Since KrisFlyer miles have a 3-year validity, the total validity (OCBC$ and miles) is 5 years. Where can you go with your OCBC$? Let’s assume that you used your credit card in a way that lets you earn 120,000 OCBC$ for a particular year. 120,000 OCBC$ gives you 48,000 KrisFlyer miles. With 48,000 miles you can travel to Australia (by economy advantage) or use it for an economy advantage round-trip ticket to Malaysia, Indonesia, or Brunei. Access to over 800 airport lounges across the globe at just USD27 with LoungeKey. Discounts on travel bookings made on websites such as Agoda and Trip.com. Agoda: 8% off on hotels in Taiwan, China, and Thailand, and 6% off on hotel bookings in other destinations for stays until 30 June 2020. Trip.com: Up to 8% off on hotel bookings for stays until 31 January 2020. 10% off on business class seats on Emirates flights for travel until 31 March 2020. These are just a few of the travel benefits that you get with the OCBC Rewards Credit Card. So, what are you waiting for? Get shopping and take that holiday in 2019! If shopping isn’t your thing, but dining is, consider getting the HSBC Revolution Credit Card. You get 5x Rewards points for every S$1 that you spend on dining. You also get 5x points for every S$1 that you spend online and on entertainment transactions. And, like all the other rewards cards listed out thus far, this one too does not have any minimum spend criteria that you need to meet. Cap on 5x Rewards points: 1,000 Rewards points per calendar month. Points to miles conversion: 1 Rewards point = 0.4 miles. Points are converted in blocks of 10,000. So, 10,000 HSBC Rewards points can be converted to 4,000 KrisFlyer miles or Asia Miles. Validity of points: Your points are valid for 3 years and one month from the date on which they are awarded. To extend the validity of your points, you can convert them to miles. Subsequently, these miles will be subject to the terms and conditions of the particular frequent flyer programme you have chosen. Where can you go with your Rewards points? 5x Rewards points are capped at 1,000 points per calendar month. If you earn the maximum amount of points each month for, say, 10 months, you get 10,000 points. If you convert these points to KrisFlyer miles, you get 4,000 miles. While 4,000 miles aren’t enough to get you free tickets on Singapore Airlines or SilkAir (since you need at least 15,000 KrisFlyer miles to redeem flight tickets), you could save up your points for another year and convert them to Asia Miles. With 8,000 miles you can get a one-way economy ticket for a distance not exceeding 750 miles on Cathay Pacific and Cathay Dragon. You can redeem your points for travel vouchers. These include a S$50 voucher from Dynasty Travel as well as a S$50 voucher from Royal Caribbean cruises. You also get access to HSBC’s travel promotions. These include exciting discounts when you book hotels online such as 8% off on bookings made on Agoda (for hotels in Hong Kong, Malaysia, and Indonesia). A credit card with a gender-bending name, the DBS Woman’s World Mastercard is a card that even men can apply for. And they should, because with this card you get 10x DBS Points for every S$5 spent online and 3x DBS Points on overseas transactions (per S$5). The 10x DBS Points on online purchases alone makes this one of the best cards to use for online transactions. So, if you find yourself making the most of your purchases online, be it for food, entertainment, or travel, then this should be the card that you use. Cap on DBS Points: 10x DBS Points are capped at the first S$2,000 (4,000 DBS Points) spent online each calendar month and 5x DBS Points are applicable only on the first S$1,000 (1,000 DBS Points) spent each calendar month. Asia Miles partners: 1 DBS Point = 2 Asia Miles. A minimum of 5,000 DBS Points is required if you wish to convert your points to Asia Miles. AirAsia: 1 DBS Point = 3 BIG Points. You need a minimum of 500 DBS points to initiate a transfer. Points are converted to miles in blocks of 500. Singapore Airlines/SilkAir: 1 DBS Point = 2 KrisFlyer miles. A minimum of 5,000 DBS Points is required per conversion. Validity of points: 1 year from the quarter in which they are earned. Depending on the frequent flyer programme you convert your points to, you can extend the validity of your points. Where can you go with your DBS Points? Asia Miles partners (120,000 Asia Miles): You can travel first class to a destination that is 7,500 miles away. AirAsia (180,000 BIG Points): You could redeem your points for a round-trip economy ticket to New York. Singapore Airlines/SilkAir (120,000 KrisFlyer miles): Get a round-trip economy advantage ticket to Africa, the Middle East, or Turkey. Get 10% off on hotel bookings made on Expedia (valid until 31 January 2019). Enjoy a 10% discount on Hertz car rentals across the globe (valid until 30 June 2019). Enjoy complimentary access to Quayside. This access is for the principal cardholder and one guest (valid until 31 October 2019). You may not be travelling the world (yet) but there is nothing to stop you from indulging in all that the world has to offer. And what better way to do so than with the Maybank World Mastercard? You earn 10x TREATS Points per S$1 that you spend on selected dining and retail merchants. This earn rate is also applicable when you spend at petrol stations throughout Singapore. Cap on TREATS Points: Unlike all the other credit cards on this list, there is no limit on the TREATS Points you earn. Points to miles conversion: 10x TREATS Points = 4 miles. Validity of points: One of the biggest reasons this card makes this list is because the TREATS Points you earn never expire. So, you can accumulate your points and convert them to miles when you are well and truly ready to travel. Where can you go with your TREATS Points? Asia Miles partners (80,000 Asia Miles): A one-way economy ticket to London. AirAsia (100,000 BIG Points): A round-trip economy ticket to Australia. Singapore Airlines/SilkAir (80,000 KrisFlyer miles): A round-trip economy ticket to Shanghai. Complimentary access to Plaza Premium Lounges across the globe. Up to S$1 million complimentary travel insurance. Enjoy discounts on hotel bookings made on online travel websites, as well as complimentary stays at hotels courtesy of Maybank and Mastercard! Access to Maybank’s Global Concierge Service. So, if you love travelling but don’t always have the time to travel frequently, these are the cards you could consider. If, however, you do find yourself turning into an avid traveller, do get yourself an air miles card to enjoy the host of travel benefits that come along with it. Until then, hope 2019 is filled with family, friends, great food, and of course, travel!